Canada’s largest sugar refiner Rogers Sugar Inc said on Tuesday it has suspended production at its largest plant as workers went on strike after wage talks at the 128-year-old Montreal-based plant collapsed. The company is implementing contingency measures to minimize disruption to customers, it said without giving details. 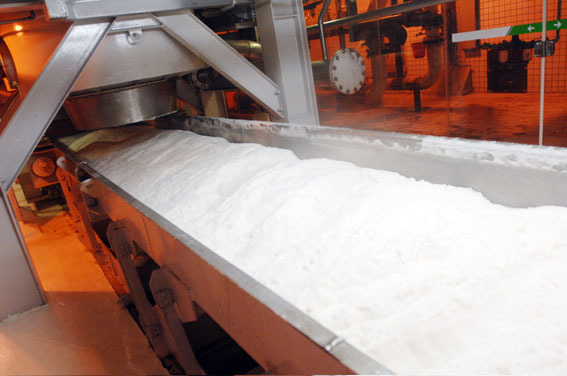 The refinery, operated by Lantic Inc, has capacity to produce about 440,000 tonnes per year of sugar and is a wholly-owned subsidiary of the company. It has 200 unionized workers. Talks between Lantic and the union began in March after a three-year contract expired. Rogers also has one other cane refinery and a beet processing facility.